Look mom, they named a restaurant after me! 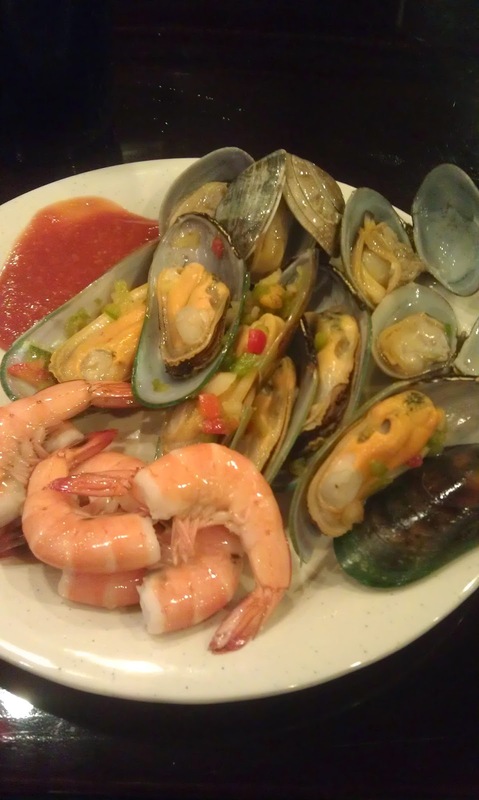 If you've spent any time on this blog, you know I like to eat. And I certainly like to eat buffets. 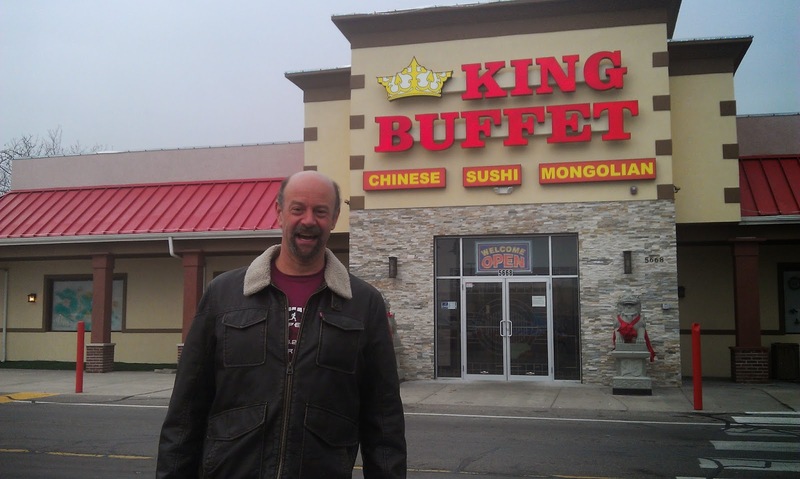 In fact, where I live, I am within 5 miles of two Golden Corrals, one Chuck A Rama and now King Buffet (which is about 2 miles away). They've been airing commercials on most of the non-prime stations and they make it look like a huge buffet with lots of freshly made stuff. I've been to quite a few Chinese Buffets in my life and I usually jokingly call them "All You Can Stands" rather than buffets. However, this one is REALLY good. I had just wrapped up my 20 mile run when Shari said she and her mom were going there. I was thinking I'd go to Golden Corral or Sweet Tomatoes, but Shari insisted I come. For $9 (plus $2 for a drink) I got a pretty darn nice buffet. I was expecting warmed over food that was going to not taste good, but this place kept up with their food and in fact, is somewhat on par with something I'd find in Wendover. They had a Mongolian Grill where you get to pick you ingredients and they fry it up for you. There were some American food selections as well as your typical Chinese food. Dessert was good and included a variety of fruits, ice creams and cakes. I definitely had my way in there... especially with my ravenous appetite. Service was also rock solid, with preemptive fillings of my Pepsi -- that I was gulping down non-stop. The place is absolutely huge too. There was plenty of seating and just about every seat in the place was full. Big screen TVs were also on some of the walls, so I could definitely see myself coming there and still managing to watch a game. I was really disappointed with the shrimp though. It was peal and eat. While they were huge and looked great, they had NOT been deveined. I saw a lot of people just peeling and eating them, which I thought was gross. I wasn't going to devein them either, so that is a big negative. However, the rest of the buffet was really good and reading the reviews online and seeing at least a dozen to two dozen people just waiting to get in and seated makes this place a joint I'll likely visit again. Finally, a restaurant worth going back to in Utah!